A young man in school. A young girl peers from a window, in a remote agricultural village, West Bengal, India. Children playing outside their tea plantation home, Darjeeling, India. 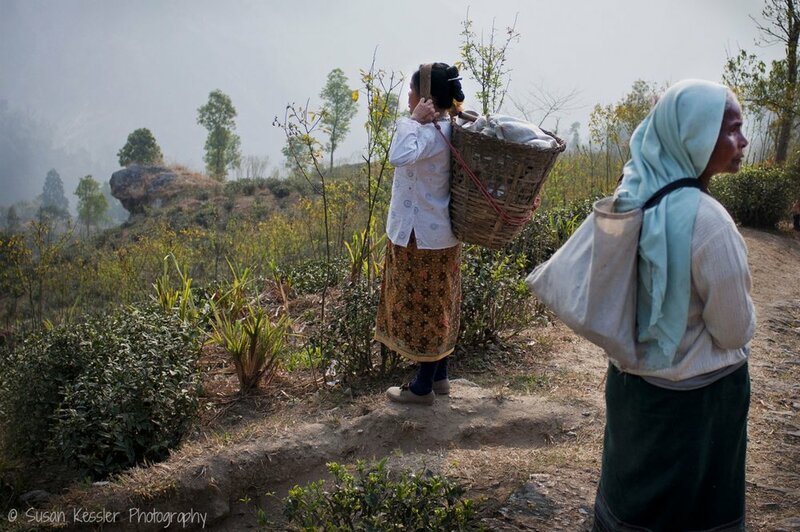 A woman on a plantation plucking tea leaves, gently placing each one into the basket on her back. At the end of the day, she will bring her basket of leaves to the factory to be weighed. A young girl stands in the doorway of her home. With notebook in hand, she waits to walk to school. A father and his son peer out from a window of their house, West Bengal, India. A woman sorts twigs and branches according to size. These will be stored and eventually used to make fires for cooking. An elderly woman builds a house from sticks and mud. She has only two others to help her. Two women walk down a stone path, in their remote agricultural village, West Bengal, India. A woman stares from her window, in a remote agricultural village, West Bengal, India. 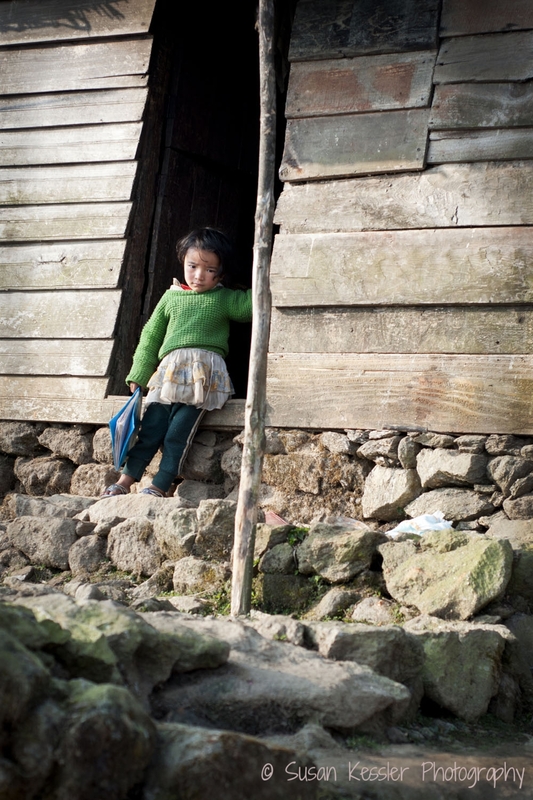 A young girl playing outside her home on a tea plantation, Darjeeling, India. A young girl does her school work. The uniformed children sit on long wooden benches, with four classes together in the one-room schoolhouse. 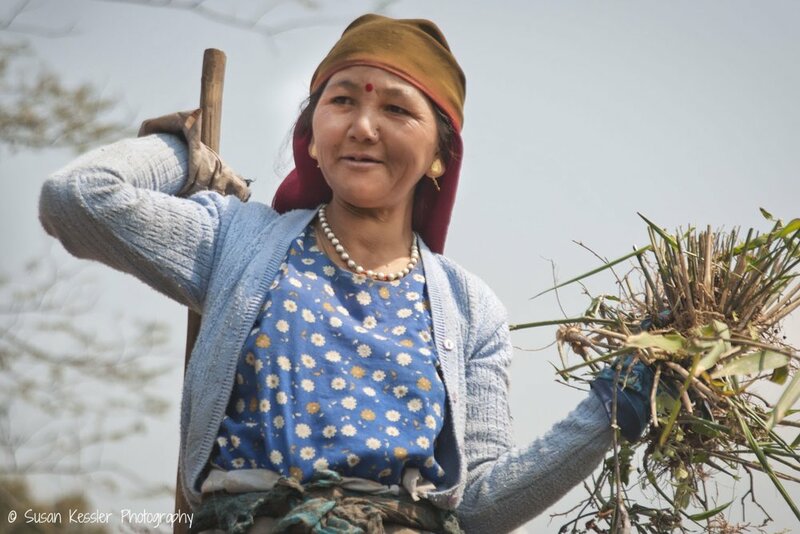 A woman clears the dead brush after the harvest on a tea plantation, Darjeeling, India. Two women stand waiting to begin their day's work on a tea plantation, Darjeeling, India. A woman plucks tea leaves on a plantation, Darjeeling, India. A woman walking through tea fields, Darjeeling, India. Winding road through a tea plantation, Darjeeling, India.